Great Neck Residence — Ed Kopel, Architect, P.C. 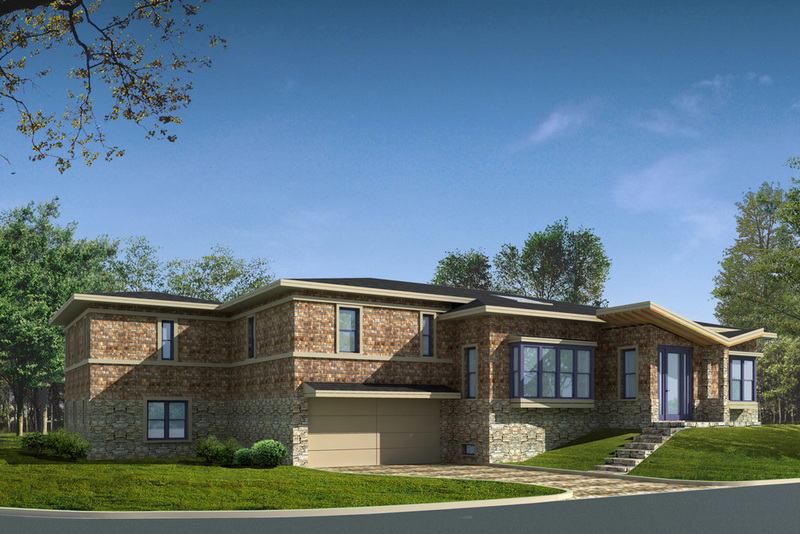 This new 5000 square foot house is designed to replace an existing house that burned in an electrical fire. Having lived in that house for over thirty years, the clients had a strong emotional attachment to it and requested that the new house recall it. The new house needed to be bigger in order to accommodate grandchildren, a double height office/library with 10,000 books, a master bedroom suite, and a banquet area for 25 people (with a kitchen large enough to serve it).The resulting design, with its split level frontispiece and butterfly roof pays homage to the former house, a prime example of mid-twentieth century suburban architecture. 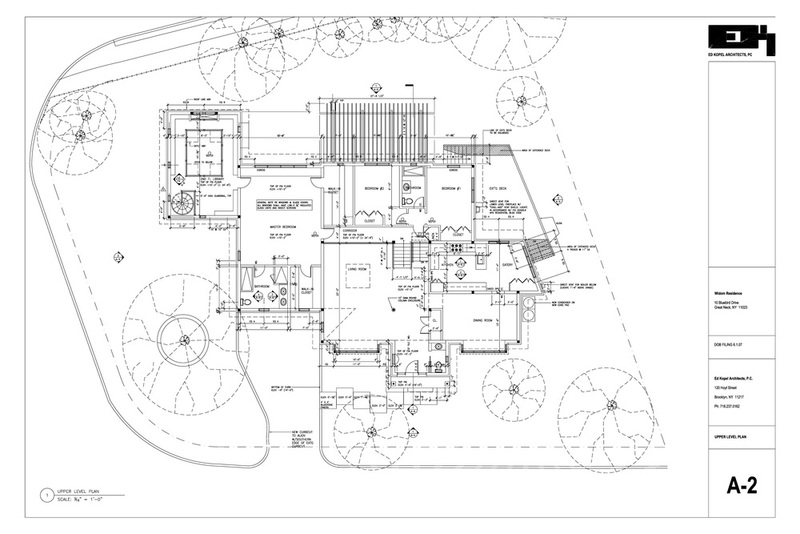 The basic “L” of the plan divides the lot into two precincts creating a front lawn and a rear trellised garden. The front facade takes its cues from adjacent houses on the narrow street while the rear facade has a bigger and more institutional scale to address the wide avenue it faces.